Looking for a long weekend to leave you sandy, breathless, excited and wide-eyed? Check out this action filled programme and start packing! Enjoy a fun family meal at Jimmy Jack’s Rib Shack. 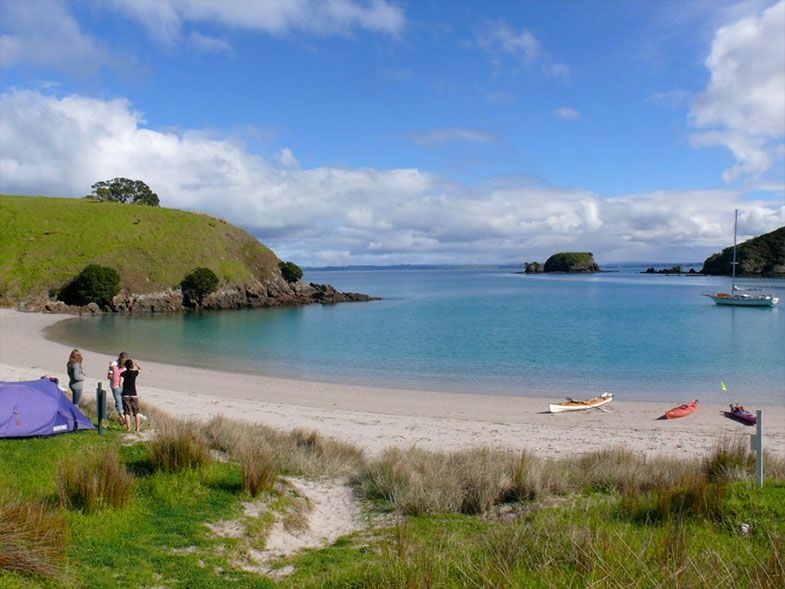 Beachside holiday park is just a few minutes’ drive away from Paihia and situated right on the water of a tidal cove. Beachside offers a range of options to cater to Families, backpackers, camper vans, camping, and more. Visit the very special Waitangi Treaty Grounds including the New museum of Waitangi, a guided tour of the grounds and a cultural performance Tau Henare Drive, Waitangi. Join a tour with a professional local guide who will take you on a journey through time, walking the footsteps of their own ancestors. Discover the stories, personalities and events that helped shape our nation, right here at Waitangi. Tours start at the Visitor Centre every hour. Be enchanted by an authentic Maori cultural performance including a spine-tingling challenge outside, followed by a full performance including waiata, poi and the famous haka inside the beautifully carved meeting house. The new Museum of Waitangi is a modern and comprehensive showcase of the role of the Treaty of Waitangi in the past, present and future of New Zealand. The second storey is comprised of the Ko Waitangi Tēnei (This is Waitangi), exhibition and the ground floor features special temporary exhibitions and an education centre. Previously many taonga (treasures) associated with Waitangi were scattered around NZ, and this excellent museum is now a safe haven for many key historical items. Enjoy a wood fired pizza with craft beer for Mum and Dad at local pizzeria Sauce. Relax with a cool craft beer and a wood-fired pizza. Choose from the great selection of pizzas on the menu or create your own. Stay again at the Russell Top 10 Holiday Park. Set off on a half day cruise with Fullers GreatSights Dolphin Cruise to the Hole in the Rock. Cruise the sparkling waters of the bay in search of dolphins and other marine life. Enjoy the views from the catamaran Dolphin Seeker as you journey right to the end of the Cape Brett Peninsula, to the famous Hole in the Rock on Motukokako Island. Take an hour to drive from the East Coast to the West to race down the amazing sand dunes of the Hokianga Harbour. Travel by boat from Opononi across the harbour to the dunes with Hokianga Express Charters for an experience like no other! Since you’re staying the night, take in a night tour of the magical Waipoua Forest with Footprints Waipoua. You can enjoy a four hour Twilight Tour, or if you want to hit the hay early, opt for the shorter ‘Meet Tane at night’ tour. Stay at the delightful Copthorne hotel and resort in Hokianga to make the most of your visit to Northland’s West Coast. The 4-star Qualmark-rated hotel features beachfront rooms, offering magnificent views of the beautiful Hokianga Harbour.